The Nuffield Orthopaedic Centre hosts several other organisations on site. The Botnar Research Centre is a state-of-the-art research facility housing the Oxford University Institute of Musculoskeletal Sciences. The Oxford Centre for Enablement (OCE) provides specialist neurological rehabilitation services for patients with long-term conditions. The centre accepts both NHS and private referrals. 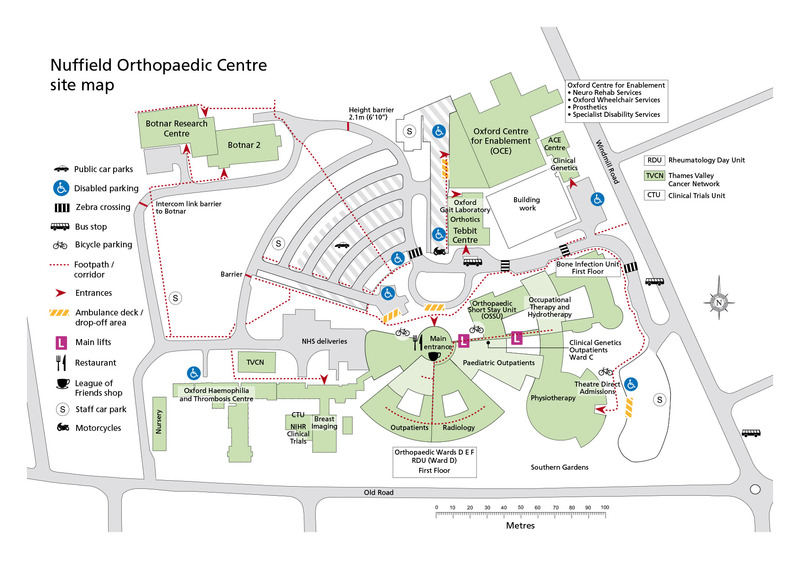 The Oxford Clinic is a private specialist centre for orthopaedic surgery.